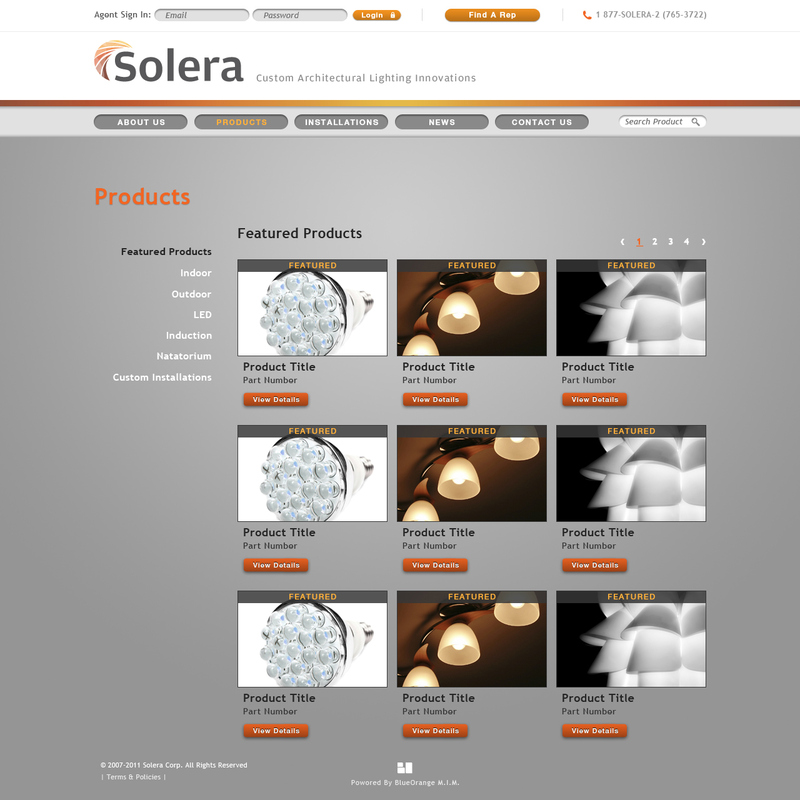 Daniel Mei - Solera Corp.
Solera Corp. is a lighting solution and manufacturer based in Ontario, Canada near Toronto. It specializes in manufacturing high quality and affordable architectural fixtures for indoor and outdoor lighting applications in a timely manner. They are dedicated to provide innovative lighting solutions combining the latest technologies with proven track record, custom designs and a reliable service. They also deliver environmentally friendly solutions with high efficiency and long life systems. Creating a new solution to re-brand and provide a new online face-lift to improve its sales and its functionality for sales representatives and prospective clients. The goal is to design a new brand that better serves Solera as a strong and growing company, as well as better define the meaning and impact of the company name. 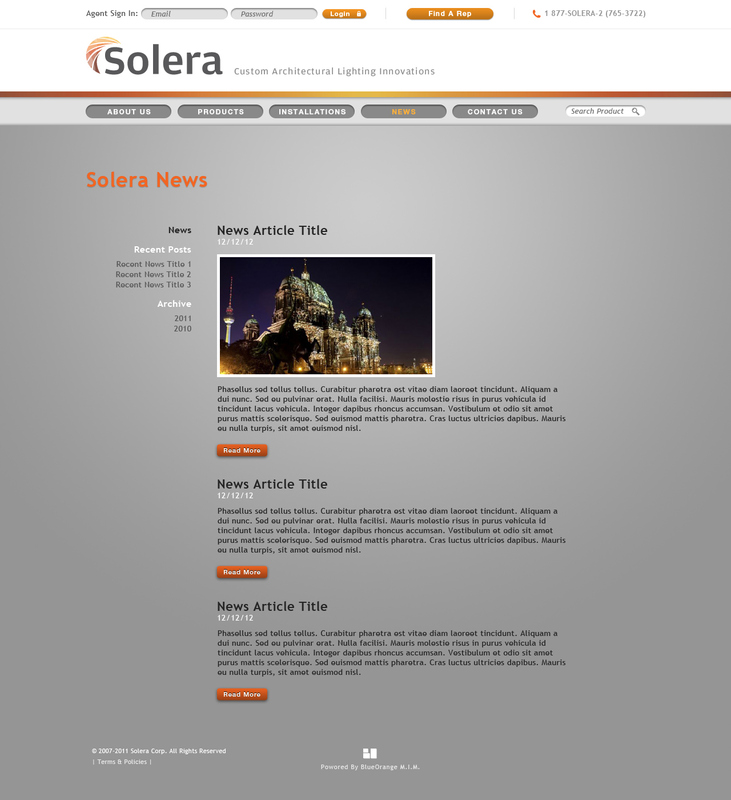 The inspiration came from the combination of the name "Sol" and "Era". Sol, in old Latin, literally means sun, and "Era" means an age or a period of time which is defined. Therefore the symbol is the pattern of a single sun flame, in an array of colour of dark red and light orange, to give its source of heat, energy, and brightness. The colours also represents innovation and creativity, which suits the client's mission statement. 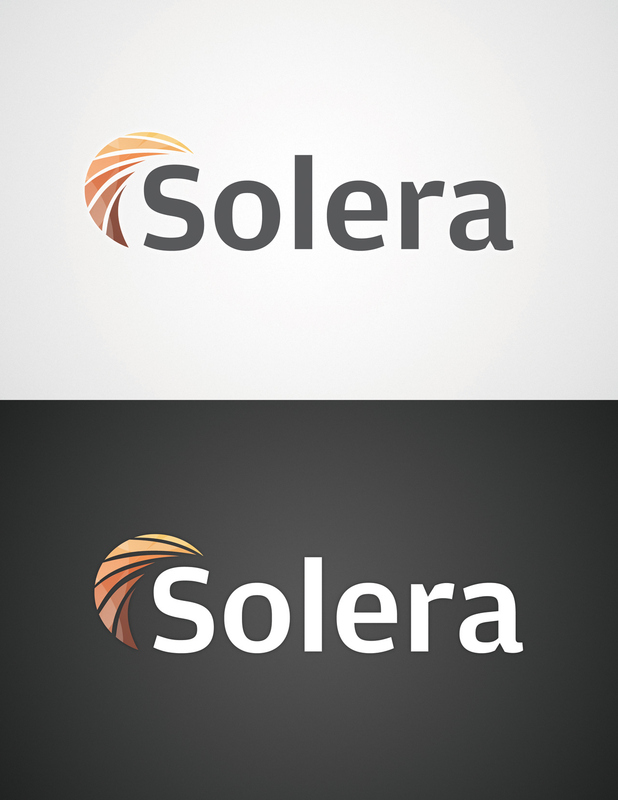 Official logo of Solera in bright and dark backgrounds. Our main objectives are to provide Solera a better online present in order to drive exposure and sales, to better serve the sales agents at their inquiries, and to attract more prospective customers. 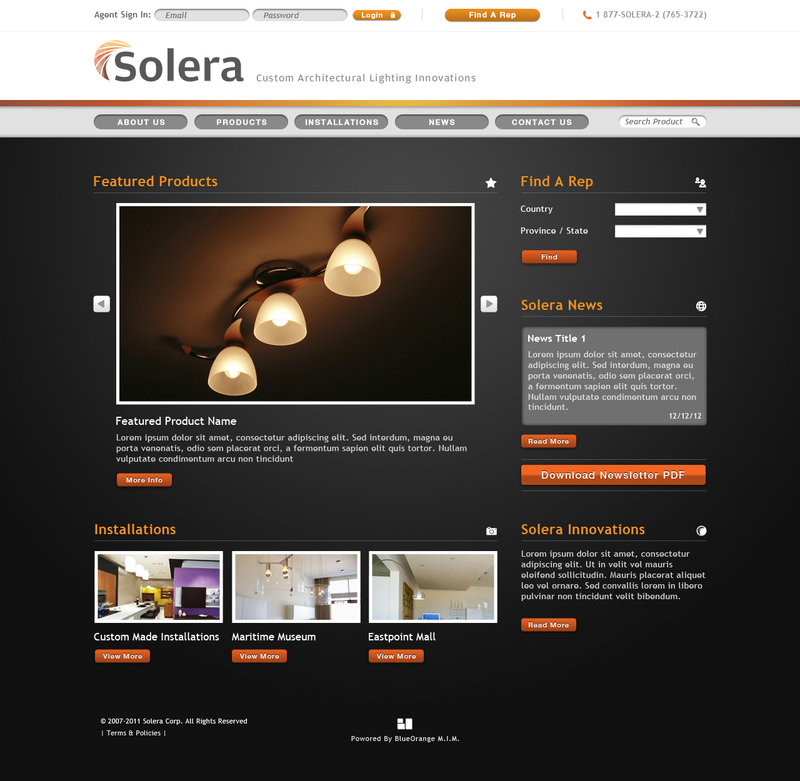 Solera Home page - It functions as the main hub to everything on the rest of the site. 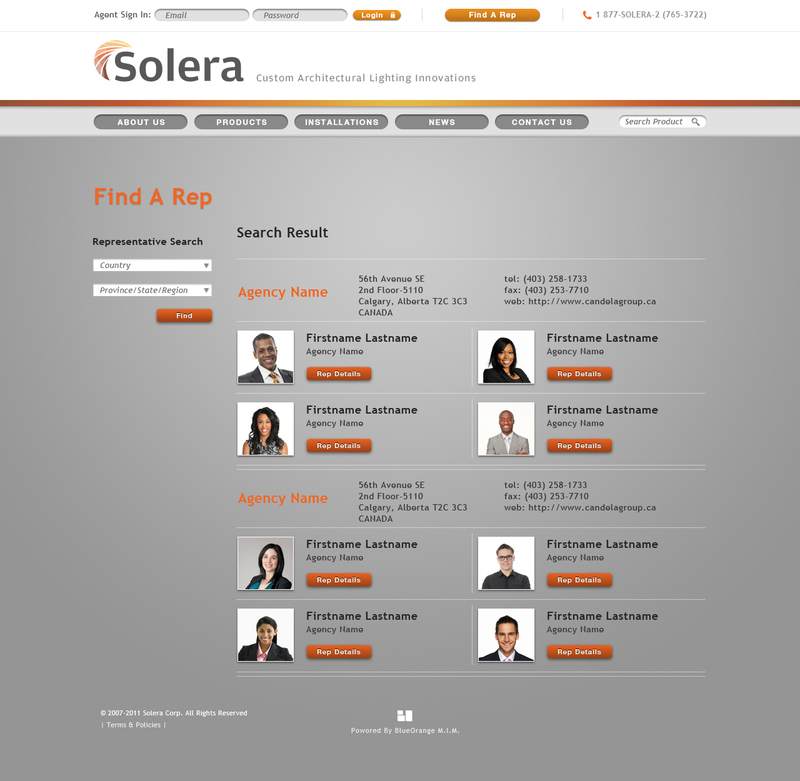 The goal is to provide a friendly and easy-to-use interface that gear towards clients, new audiences, and sales agents. It opens up the portal to all the routine users, and showcases the most recent products and installations to attract others. 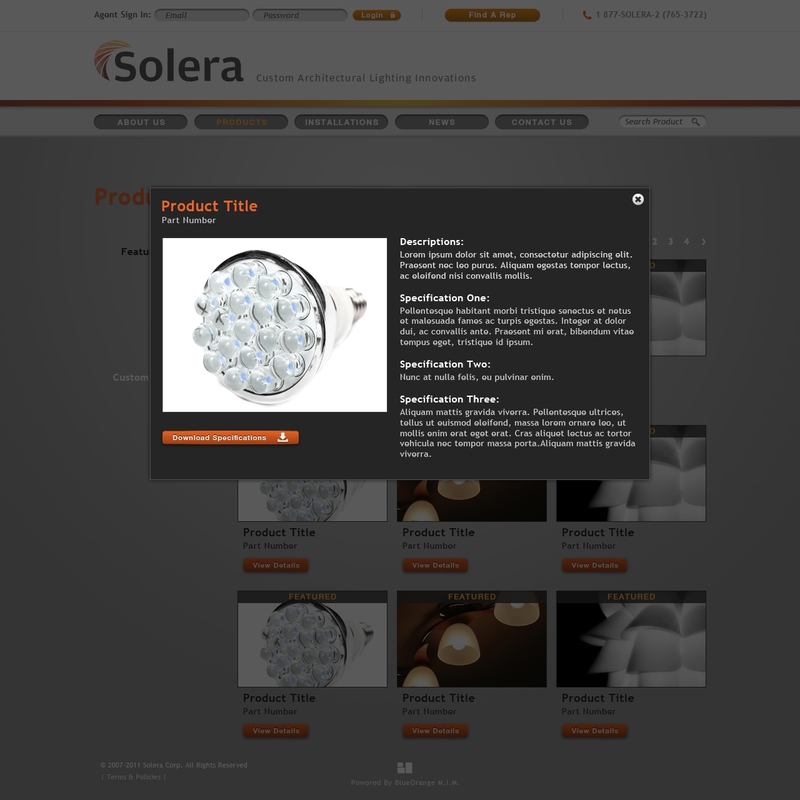 Products page - showcases products from different categories. Find A Rep page - Allows clients and prospective clients to find a sales representative by simply search for the country and the regions. Agent Portal page - When an agent is logged in, he/she now has the access to the blue print and drawing files of the products,ready for download and viewing. 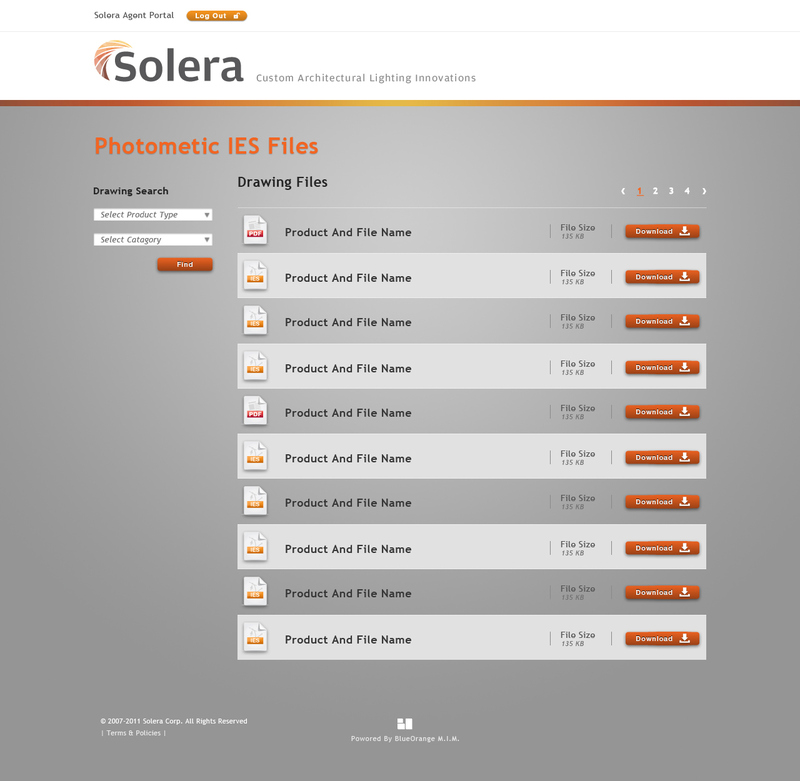 These files can also be found using filtering search system. News page - It helps connecting the followers and new audiences to the company and its related news within the industry.